In the late-winter afternoons for half a decade, I photographed my husband of forty-two years. With the weak sun coming through the studio windows, we were warmed by the woodstove and his two fingers of bourbon. 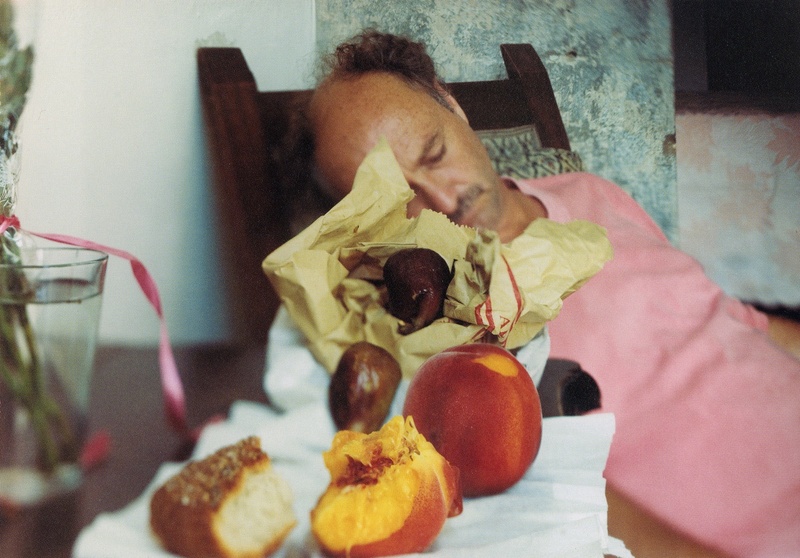 I loved it, this work: the quietude; the muted burble of NPR; the exposures sometimes so long that he fell asleep. In this picture, a relatively short exposure, he was braced against the glass, holding still for the counted-out minutes. You see that slight movement at the tips of his fingers? That is the beating of his heart. 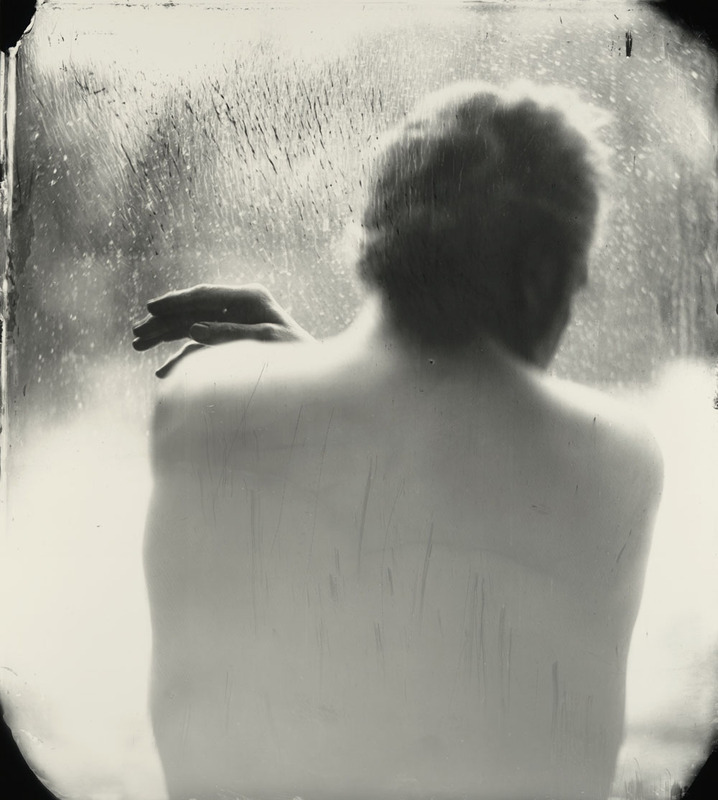 From the series “Proud Flesh,” exhibited at Gagosian Gallery/Courtesy Gagosian Gallery and Edwynn Houk Gallery. Why, after all these years, do I keep wanting to set up my tripod and camera when I’m with Jim?. It’s a puzzle. What impulse is it that he—and only he—brings out in me, that has lasted seemingly forever, and goes as deep as it does? It’s a miracle. At this moment, we’re on the road, driving west, squinting into the sun. My camera is in the back seat. I can’t wait to stop in one of these little motels and watch him fall asleep: watch his arms, legs, and torso give in to gravity, see his breathing become slower and even, and watch as his face loses all traces of expectations and judgment. It’s one of the great gifts I get when I look in the ground glass: a gift Jim gives me. I lose track of time and our two bodies no longer separate us. What he is, I am, and what I need dissolves into a single, concentrated act of seeing. In September, 2007, I married the girl of my dreams; five months later Jennifer was diagnosed with breast cancer. Throughout our battle, we were fortunate to have a strong support group, but still struggled to get people to understand the difficulties we faced daily. 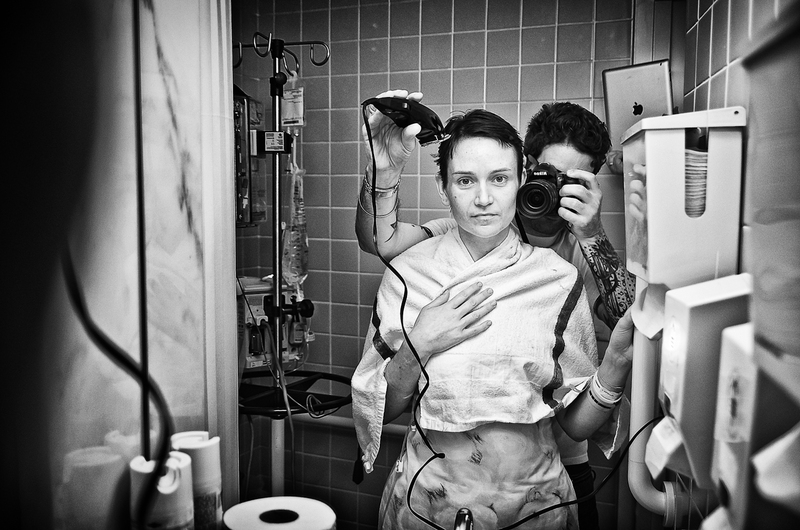 I began to photograph our everyday life, hoping to show the reality of living with this horrible disease. As time passed, trust grew, and at a certain point Jen stopped feeling like she had to pose, she was just Jen…happy, sad, silly, or whatever she was feeling at that moment. Now that Jen has passed, I look at these photographs and I feel our love. I’d like to share some details about the terrific F.I.L.M. Project (Family Images for Lasting Memories) which donates family portraits to cancer patients through a network of professional photographers. Through these photo sessions, participating photographers are able to inspire healing, faith and hope in cancer families when they are at their most fragile . This is a really fabulous initiative and I urge you to spare around ten minutes to view the following moving documentary – and to share it with others!